After introducing SOPA (Stop Online Piracy Act) Bill from congressman now there is another bill coming to tease Internet World and it will be called CISPA (Cyber Intelligence Sharing and Protection Act). 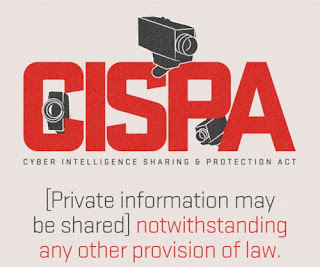 So what is CISPA? The Cyber Intelligence Sharing and Protection Act (CISPA) have few things in common as compare to defeated Secure Online Information Privacy Act (SOPA) and the Protect Internet Property Act (PIPA). The Cyber Intelligence Sharing and Protection Act (CISPA) is a United States proposed law introduced on November 30, 2011 by U.S. Representative Michael Rogers. The CISPA Bill would give the U.S. government additional options and resources to ensure the security of networks against attacks and enforce copyright and patents. Many experts are saying that CISPA is similar to the old bill SOPA and PIPA and it’s just the other name of those two bills previously introduced by congressman, besides rhyming acronyms, except that Facebook likes CISPA, despite very publicly hating SOPA and PIPA. Lumin Consulting drew up an Infographic explaining CISPA (Cyber Intelligence Sharing and Protection Act) and compare CISPA with SOPA and PIPA in logical way. So let’s find out the deep Comparison between CISPA and SOPA/PIPA Bills.